What we see here is an excellent use of a live studio audience and Hangout guests. Remember, Taylor hosts this herself which shows her off as being a strong enough personality to do it all without a host. I can think of a dozen celebrities that could not do this at all. I've outlined the timings of the show, as this will serve as a pointer to others. 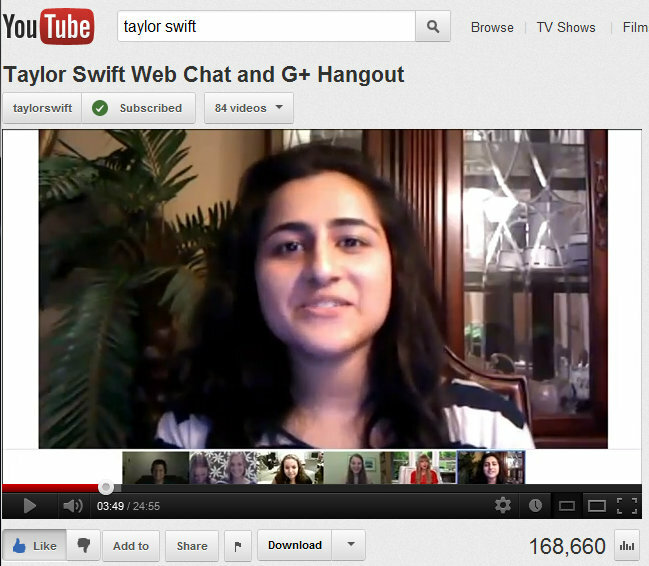 Although, Taylor and her crew use multiple studio cameras and one Google Hangout, the setup is quite simple. Taylor plays her new song near the end, not live, just via the sound system. The whole atmosphere was like story-time, with people sat on the floor with Taylor playing teacher and guiding us through the lesson, OK taking the odd cue from the director (probably on autocue or even big piece of card, but who cares.. it worked). The odd bout of screaming, bet hey, I would be if she asked me in there. She's a talent with infectious charisma and young enough to have grown up as a digital native. She knows none of the old analogue ways - maybe that's why is comes easy. It's no real secret that the focus was to launch a new album and a single. Great way to do it all. Interestingly, the Event was not broadcast in the Google+ stream as it was a LIVE YouTube Event, the Hangout being a minor part. It was impossible to tell if the Hangout was On Air, it didn't have to be as some switching tech was used to swap between cameras and the Hangout. Running order of the Show, just a time stamp and what happened. We can see Taylor wasted no time at all as announced a New Album and Title all within one minute of starting the show. There were 14 questions, with 5 from the Hangout. 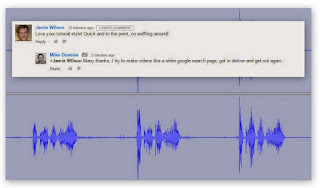 Look out for a Thank You to Google and YouTube near the end. My favourite part was at 01:41 where Taylor was fast to bounce off an audience member when you can hear, 'I'll buy that' muttered in reaction the album cover. These are the parts that make a good host. Do not let these opportunities pass by. Without this fast reaction, it could have been a very different 24 minutes. As for the HD Video, that was just awesome quality. The new song, We are never ever getting back together was played at the end. I'm left wondering if Taylor wanted to play that live, my bet she did.. she that will come next time. Taylor will be talking to fans around the world live online and in a Google+ Hangout on Monday, August 13th! She will talk directly to fans and answer questions in real time. You can submit questions into the live social chat during the webcast using your YouTube account. 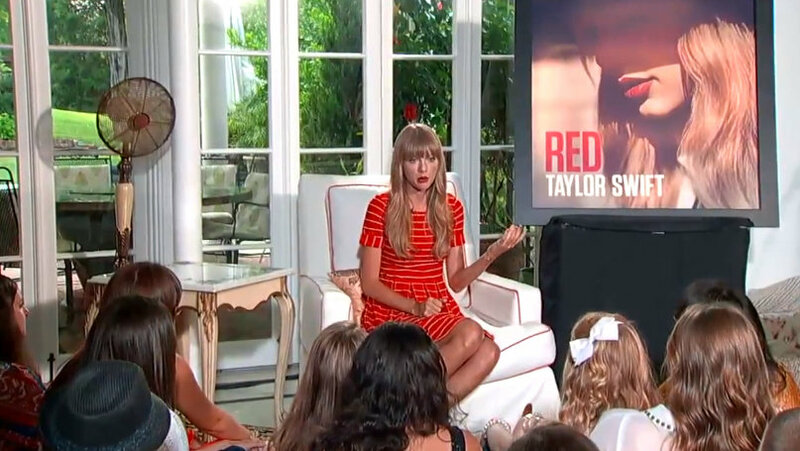 The webcast will be live across the world starting at 7:00pm ET on August 13 on YouTube.com/TaylorSwift or YouTube.com/Presents. What a beautiful girl! Who is it?